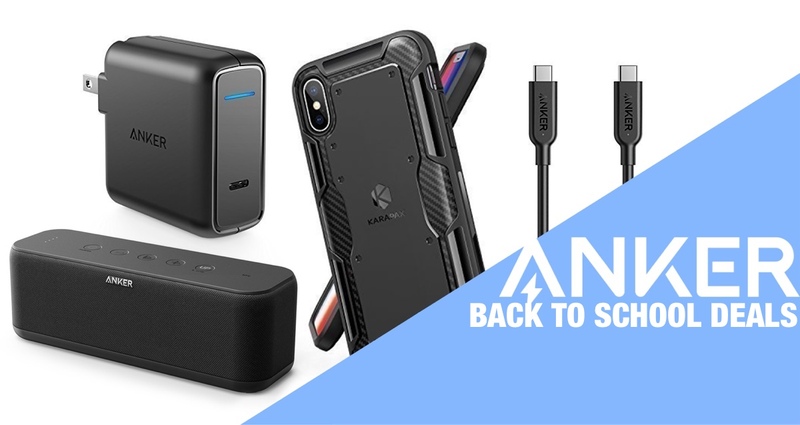 Anker’s Back to School 2018 deals are now live. It includes a lot of savings for iPhone X users looking for an excellent case, with discounts on cables, power banks and other accessories also available. Premium, well-designed, and well thought-out accessories are always worth considering and definitely worth integrating into our lives if we have the itch that the technology is designed to scratch. And, scratching that itch is definitely more appealing when the price of any product you are interested in has been slashed to ramp up demand. Ladies and gentlemen, boys and girls, welcome to the huge Back to School Anker sale. As far as tech-based accessories go, Anker has managed to carve itself a reputation as being one of the best manufacturers in the business. This reputation has been built up by offering an extremely diverse set of accessories spanning a wide range of genres and use-cases, all of which are generally extremely well built, extremely reliable, and extremely affordable. And, now, thanks to this discount and the existence of the ANKERBTS to be used at checkout, all of the accessories listed below come with a whopping 20% reduction. Check out what’s on offer in the list below, remember the ANKERBTS discount code to be used on all products at checkout, and remember to act quickly before the deal(s) expires.